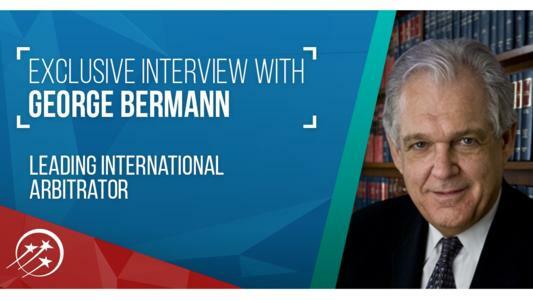 George A. Bermann is a leading international arbitrator in commercial and investment disputes. He speaks to Leaders League about arbitration trends post-Achmea and other key developments in the dispute resolution field. How is the Achmea decision affecting European investment arbitrations? George Bermann: The Achmea decision has certainly affected the legal landscape for European investment treaty disputes. EU investors could try using a non-EU arbitral seat for success as the courts outside of the EU are not bound to uphold the supremacy of, or show obedience to, EU law. I have already seen investors choosing a seat in the US as opposed to the EU, but such an award could still be annulled or not enforced due to the doctrine of comity. What are the effects of recent trade sanctions on the conduct of arbitration? There have been a lot of discussions as to how the sanctions could inhibit the work of arbitrators. The sanctions could certainly prevent their possibility of getting paid as rendering any services in connection with an embargoed country could raise problems. The arbitral institutions are also very cognizant of this issue as they will be processing the payments themselves. How is the new United States-Mexico-Canada Agreement (USMCA) going to affect the investment arbitrations in the US, Mexico and Canada? The USMCA has eliminated investment arbitration entirely between the US and Canada, and it will certainly affect US-Canada bilateral investments. However, the types of claims brought by US investors in Mexico and Mexican investors in the US are more limited now. The standards of investment protection have been tightened up. The Comprehensive Economic and Trade Agreement (CETA) between Canada and EU is a big model for trade agreements and it has also tightened up the standards of investment protection. So, it is a world-wide trend to redress somewhat the perception, right or wrong, that tribunals have been overly investor friendly. What is your opinion on the extent of sovereign immunity while enforcing awards against states? If the entity claiming the sovereign immunity is not considered to be a foreign state or subdivision or instrumentality of one, it cannot invoke FSIA immunity in state and federal US courts. However, the FSIA contains important exceptions to sovereign immunity, the most relevant of which is the arbitration exception under § 1605 (a)(6) of the FSIA. There is also an immunity under the FSIA from execution and its scope and exceptions are somewhat different. There also some differences in the FSIA as to how States, on the one hand, are treated, and how state subdivisions instrumentalities are treated, on the other. What are the trends for Investor-state dispute settlement (ISDS) and commercial arbitrations in 2019? The ISDS world is in turmoil. We may not even have ISDS further down the road. But, unless and until the institutional rules governing ISDS change, 2019 would not be any different than 2018. As for commercial arbitration, I have noticed a much greater pressure to conduct and complete the arbitration in a shorter period of time. The institutions are getting serious about reducing the costs of arbitration. It is not a radical change per se, but the arbitrators are going to feel more pressured to be timely and, hopefully, place limits on the number of appointments they accept. I certainly think we will see more discussions about diversity and openness of arbitration to not only women but also practitioners from various regions, and perhaps other underrepresented groups. ute resolution field. George Bermann has been a Columbia Law School faculty member since 1975, is the Jean Monnet Professor of EU Law, the Walter Gellhorn Professor of Law, and the director for the Center for International Commercial and Investment Arbitration (CICIA) at Columbia Law School, Chair of the Global Advisory Board (NYIAC). He is the co-author of the UNCITRAL Guide to the New York Convention on the Recognition and Enforcement of Foreign Arbitral Awards. He has served as international arbitrator for 35 years.